Winter Fashions You’ll Want to Snap Up! As the days get colder, make sure you stay stylishly wrapped up with these cool winter must-haves. Who says keeping warm and cosy can’t be fashionable too? The perfect winter-warmer. The soft material of this scarf makes it ideal for keeping your neck toasty during long winter walks or commutes to work. Available in a range of colours and patterns, there are options for any outfit and it really is the ultimate winter accessory to make any outfit stand out. 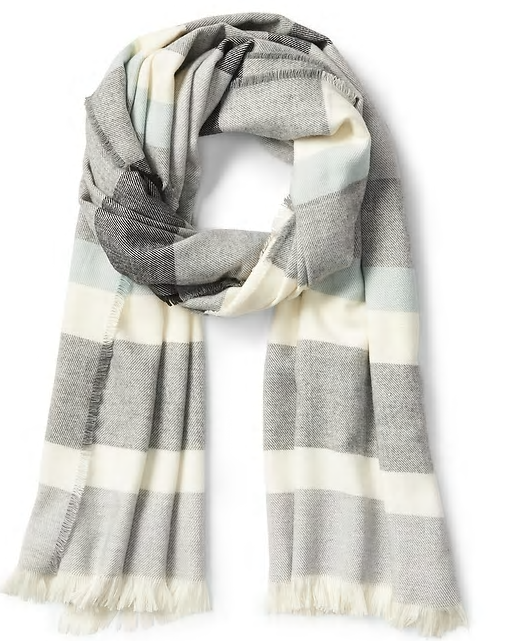 Cosy Fringe Scarf, £19.95, from Gap. When it’s freezing outside, feeling cosy whilst looking stylish is the ultimate combination. 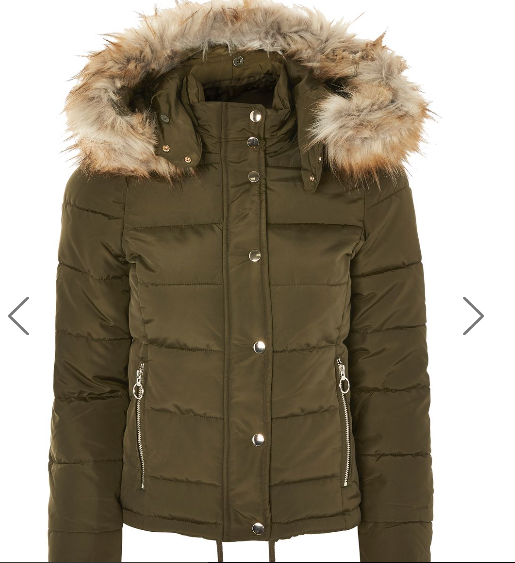 This jacket is ideal for keeping warm during the chilly winter months. Whether it’s your go-to for the school run or popping out to the shops, it’s also a real staple for keeping warm during your favourite outdoor activities. 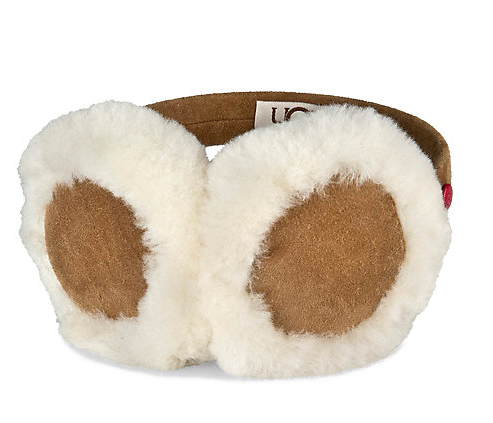 A great choice for young trendsetters, these super snuggly chestnut ear muffs will not disappoint. Made from the most gorgeous sheepskin with a stylish soft trim, for that extra touch of luxury. Those little ears will be in for a treat and will be ready to face the winter weather in no time. UGGear muffs, £36.00, from John Lewis. With Christmas fast approaching, festive jumpers are a winter must-have! 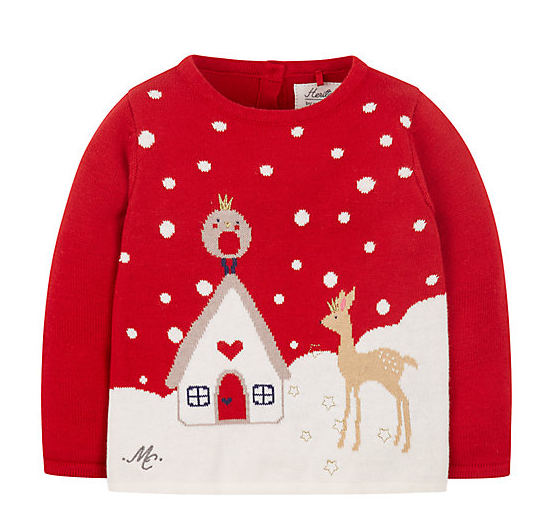 This is ideal for your little one’s playdates, parties, snowball fights and even those cosy cuddles at home. Its super soft cotton material means it won’t irritate sensitive skin, whilst its long sleeves ensure little arms are kept warm at all times. This down and feather gilet is perfect for the transitional weather. The material offers lightweight insulation which works to maintain the optimum body temperature. What’s more, the fabric features special Stormwear technology which repels water, ensuring you are kept warm and dry in the unfortunate case you get caught in the rain. 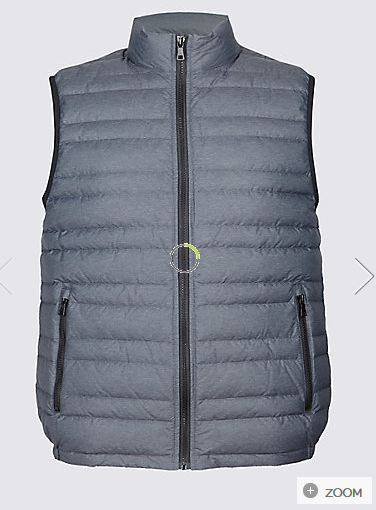 Down and Feather Gilet with Stormwear, £45.00, from Marks and Spencer. Just because the weather is miserable, doesn’t mean that you can’t go outside and enjoy the fresh air. Face puddles and snow without worrying about soggy socks thanks to these stylish new Wellington boots. Not only are these wellies perfect for muddy winter walks but they‘ll come in handy time and time again, year in year out. 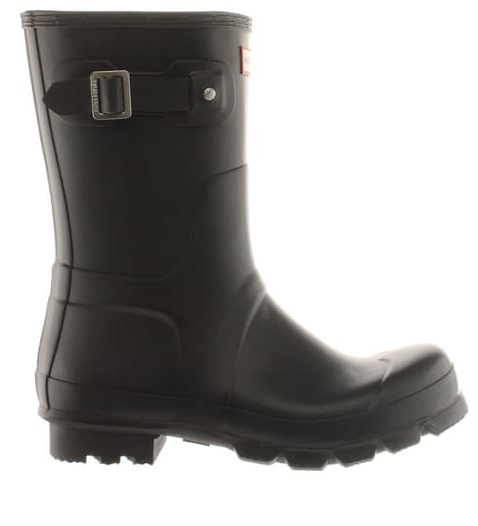 Hunter Black Original Short Boots, £85.00, from Schuh. Let us know your favourite winter fashion essential by using the #One4allTips, using the handle @One4allUK on Facebook and @One4allGiftUK on Twitter.